To Maintain a healthy body we need to follow some of the essentials food to include in our daily life. Among those foods, Yogurt is one of the essentials foods to eat on our daily basis. Especially for the females whose will lose bone density very quickly compared to males while it contains a lot of calcium in it. Do you want to know s’more Health Benefits of Yogurt for Females and its Nutritional Value. Let’s get dive into the following details of some interesting details of Yogurt. It is a dairy product made out of milk. The word Yogurt came from the Turkish word which means dense or thick. The milk from cows, goats, yaks, camel, mares…etc are used for the preparation of yogurt. However, different milk types give a different taste. This yogurt preparation starts with 2 ingredients namely milk and the bacteria called Lactobacillus bulgaricus and Streptococcus thermophilus. While in the preparation of yogurt milk is first tends to heat up to 85°c and then cooled down to 30°c-40°c. After, mixing the bacteria with milk, it will be stirred and stored in a dry place about 4 to 12 hours for fermentation. Some of the women worry about the improper functioning of the digestive tract and it leads to the painful contisipation. Yogurt is a proboitic contain food which will relax femals from painful contisipation. So, females should consume yougurt dialy for happy digestive funtions. Eating yogurt which contains probiotic will increase the power of white blood cells and ultimately improves the immunity power to fight against the germs attacking the body. Consuming calcium-rich products will reduce the infections in Urinary tract, Vaginal area and regulates the PMS intensity. Also increases bone density. It contains a number of nutrients which reduce the risk of chronic pain and diseases like diabetes, heart attacks. The benefits of yogurt also prevents females from the formation of kidney stones. This yogurt is the dairy product with a lot of protein content which will help in building muscle weight. So, consuming yogurt daily will help in healthy weight management. By concluding that yogurt is the easily available dairy product which provides a lot of minerals, vitamins, proteins…etc. It is the best replacement for those who hate to drink milk daily. There are many flavors of yogurt are available in the markets to enhance our taste buds. 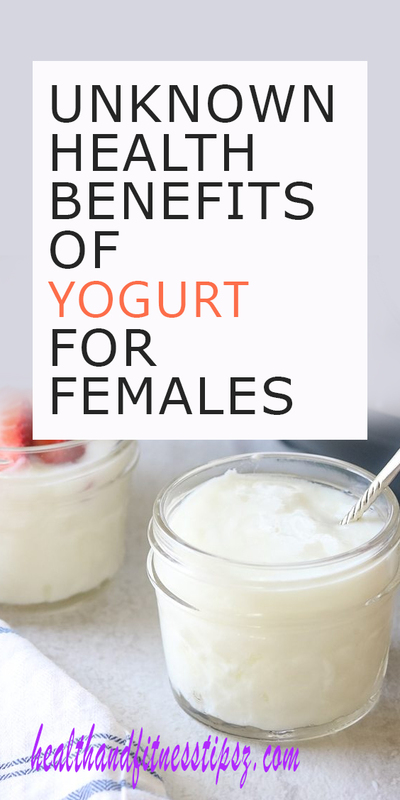 So, do include yogurt in your daily diet especially women.